Hjem » Sol & Solarium » Solariumskrem flasker » Bronze The Day Away Ultra Dark Bronzing Formula 400ml. 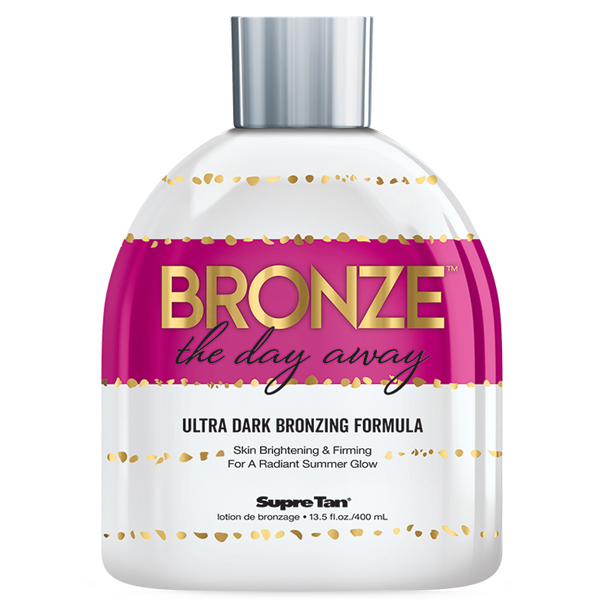 Bronze The Day Away Ultra Dark Bronzing Formula 400ml. Lie down, let the UV rays warm your face and forget about absolutely everything with Bronze the Day Away. 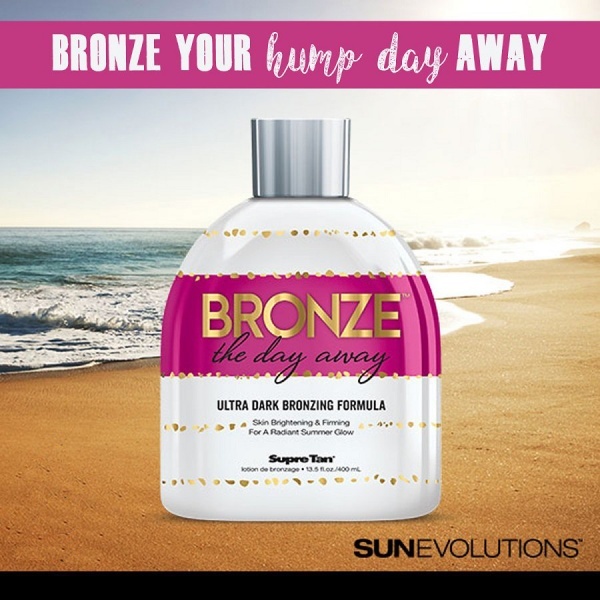 This Ultra Dark Bronzing Formula featuring Melanobronze combines active ingredients that help accelerate and enhance your tan for golden, streak free color. Allow the powerful beauty benefits of Lotus Blossom and Monoi de Tahiti to nourish and brighten your skins complexion while Green Tea Extract helps to smooth and firm for a more youthful looking appearance. Don’t let any more time pass you by, your gorgeous sun kissed color is waiting for you. • Natural Bronzing Blend of Henna, Caramel and Black Walnut Shell helps provide dark, streak free color. 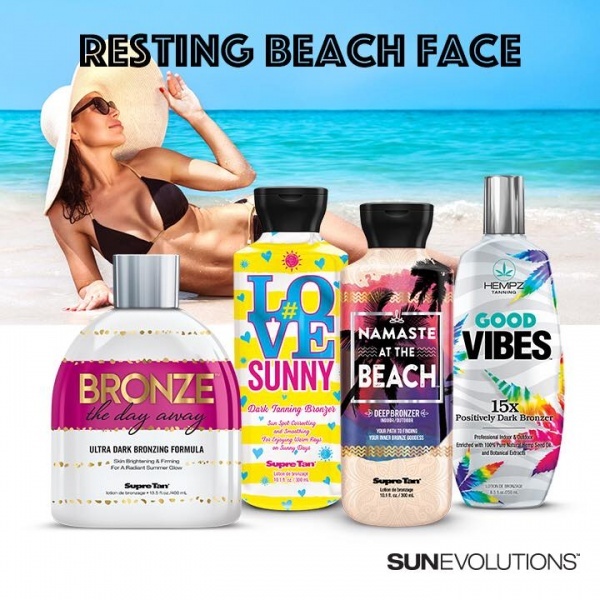 • Natural tanning ingredients help prepare skin for a rich, natural looking tan. wrinkles for a more youthful looking glow. • Monoi de Tahiti leaves your skin soothed and feeling incredibly soft and silky. Bronze the Day Away from Sun Evolutions on Vimeo.